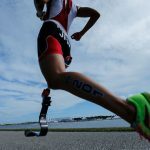 Rio de Janeiro – In preparation for paratriathlon’s debut next summer at the 2016 Rio de Janeiro Paralympic Games, paratriathletes tested the course on Saturday and scored points that go towards making their Paralympic dreams come true. 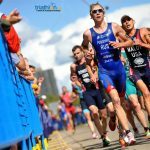 Great Britain’s George Peasgood took a commanding lead in the men’s race, dominating both the swim and the bike legs. Remaining in a consistent second-place position through the first two disciplines, Martin Schulz (GER) exited the second transition down by 43 seconds as he entered his run. Gaining speed on Peasgood, Schultz was able to capitalize on his competitor’s weakest discipline to close the gap and take over the lead position, setting himself up for victory. Stefan Daniel (CAN) followed close behind and was able to secure the silver. Taking the bronze was France’s Yannick Bourseaux, who also competed as a Paralympic skier, proved he can excel at both winter and summer sports. In the women’s race, Lauren Steadman (GBR) commanded the course and was the frontrunner from start to finish. 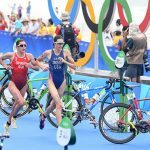 She led out of the water and the bike, which gave her a comfortable last leg all the way to the gold medal finish line. Behind her, Grace Norman (USA) stepped up for silver, while Faye Mcclelland (GBR) followed two minutes later for bronze. After being down in the swim, Bill Chaffey (AUS) forced a change in the leaderboard after a phenomenal bike leg that ultimately carried him through to the finish line. 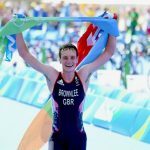 The four-time World Champion displayed a standout race that proved he is going to be the one to beat next summer in the Paralympic Games. Earning the gold medal with a time of 59:41. Setting himself up with a slight edge after his quick transition after the bike, Geert Schipper (NED) positioned himself into second place entering the run. But USA’s Krige Schabort overtook Schipper in the final lap to claim the silver medal. Schipper finished with bronze. Hailey Danisewicz, Melissa Stockwell and Allysa Seely carried on the US women’s stronghold on women’s medal this 2015 season when they swept the women’s PT2 sport class. While it was Paralympic swimmer Stockwell that was second out of the water, with Danisewicz trailing more than two minutes behind, a strong bike put Danisewicz back in the game with a bike split three minutes faster than the field. The move put her out in front heading into the two-lap 5km run. From there, the eventual gold medallist continued to surge ahead, as she scorched out the fastest run split as well. Danisewicz won the race in 1:24:37 followed by Stockwell two minutes later and Seely two minutes after Stockwell. Vasily Egorov (RUS) continued his dominant career in paratriathlon with his fifth win of the year and lucky number 13 overall. One of the slower swimmers out of the water, it was a dominant bike performance that edged Egorov out in front. The Russian carried his lead into the two-lap run along the Copacabana Beach and never let up, scoring to the win in 1:08:58. Mark Barr (USA), who has the fastest swim of the day, finished second, whileAndrew Lewis (GBR) took bronze. 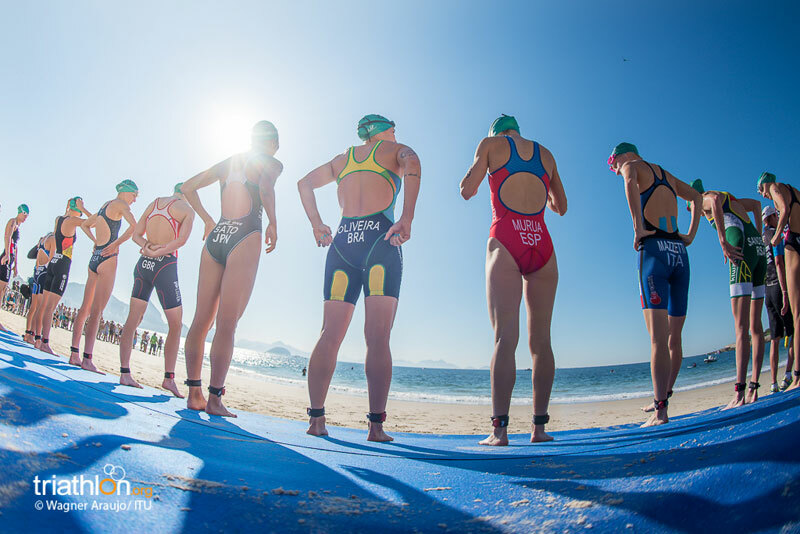 Great Britain showed up on Saturday in the women’s race, taking home both the gold and silver. Alison Patrickwas the showstopper who was able to glide onto the blue carper untouched with a commendable minute lead. Second to cross the line, however, was compatriot Melissa Reid. The bronze was awarded to USA’s Patricia Walsh, who finished with a time of 1:10:05. “I can’t see, so I’m listening to everything and the spirit was really good,” said Patrick. The battle for fourth place saw Susana Rodriguez (ESP) and Joleen Hakker (NED) is an all-out sprint to the finish. Rodriguez was able to push a last burst of energy and land her fourth by a nose. On the men’s side, Jose Luis Garcia Serrano (ESP) unquestionably claimed the PT5 title. Winning the overall race by an outstanding lead, the fresh Spaniard placed himself in the rights of being a name to keep in mind when next summer roles around. With their home country fans cheering them on, Brazil swept the podium in the men’s PT3 race. Jorge Luis Fonseca blew by the competition and was uncontested for the entirety of the race. Finishing with a time of 1:08:41, he was the frontrunner through all three disciplines and rightfully earned the gold. Walking away with the silver medal was Roberto Carlos Silva, leaving the bronze to go to Edson Dantas.